Rotate and horizontal or vertical flip your video. 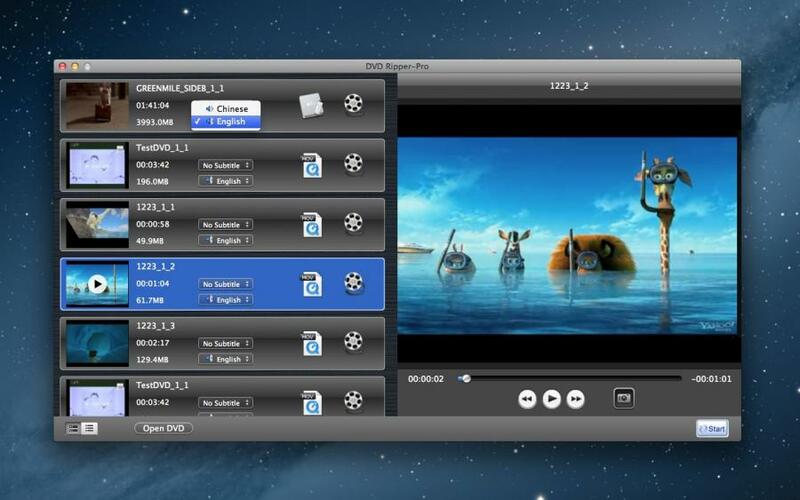 ➤Support Input: DVD, DVD folders, VIDEO_TS, DVD MEDIA, ISO DVD Media. ➤ Convert to device: iPod, iPhone, iPad, Apple TV, PSP, PS3, Mobile Phone, Portable, Youtube, HD. ➤ Convert to Video: ASF, WMV, Mov, M4V, MPEG-1(mpg), MPEG-2(mpg), MP4, DV, MKV, AVI, TS, FLV, 3GP, 3G2, etc. ➤ Convert to Audio: MP3, AAC, M4A, M4R (iPhone Ringtone), FLAC, WAV, WMA, OGG, MKA, AU, CAF, AIFF, AC3 and more. ✓ Load DVD or DVD Folders. ✓ Choose export device or video format. ✓ Helps you to crop video, clip any segments. 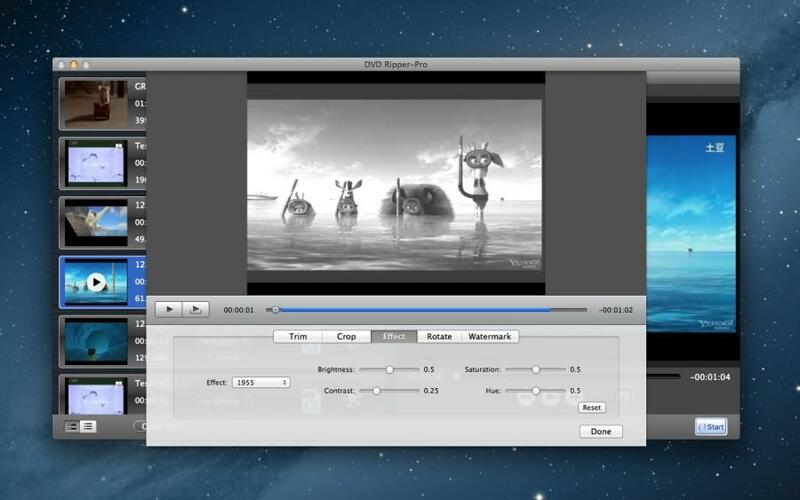 ✓ Crop videos to suit your player screen resolution, including 16:9, 4:3, or full screen. ✓ Effect videos adjust video brightness, contrast, saturation, hue and choose from an array of effects to apply to your video. ✓ Rotated 90 degrees and horizontal or vertical flip. 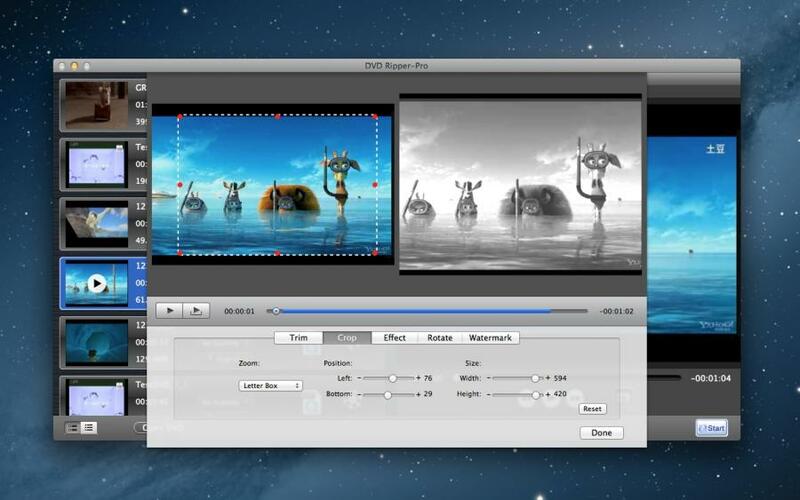 ✓ Set video and audio parameters: codec, quality, bit rate, video size, audio sample rate, etc. ✓ Fast conversion speed and excellent output quality.